The NICF (National Institute of Carpet and Floorlayers) has proudly relaunched the Carpet Fitter of the Year Competition. The prestigious 2016 competition is open to all UK fitters (including non-members), with a generous prize package including £1000 cash, a selection of tools, winner’s trophy, one year’s free Master Fitter membership and an iPad, kindly donated by Which? Trusted Traders. The deadline for online entry, at www.nicfltd.org.uk, is Thursday 31 March. “The Fitter of the Year competition last ran in 2001, when it was won by Tim Nicholas from Wales. I was fortunate enough to make the finals of the competition three times; an experience that was only eclipsed by my being on the winning team in the European Floor Laying Competition in 2005. I always said that if I were ever NICF President I would make it my mission to bring the competition back – after all, there isn’t a fitter in the land that wouldn’t want UK ‘Fitter of the Year’ on his van,” commented Ian James, NICF President. To apply, all entrants must complete an online questionnaire. Twelve entrants will then progress to the practical trials on 26/27 May, at the FITA Training Centre in Loughborough. 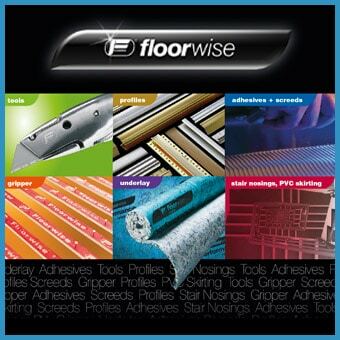 Six finalists will then be selected to take part in the final, at the Flooring Show in Harrogate (18/19 September). All applicants must be aged 18 years or over on 31 March 2016. Industry sponsors of the NICF Carpet Fitter of The Year 2016 Award include Ardex, F Ball, Ball & Young, Bostik, Carpenter Underlay, CFJ magazine, Cormar Carpets, Hanson Plywood Ltd, Interfloor, Lifestyle Floors, Roberts, Spotnails Maestri, The Stocklists, Tramex, Uzin and Which? Trusted Traders. For more information, please contact Helen at the NICF on tel. 0115 958 3077 or email [email protected].